In January, I spent eleven days in Italy with Loras College undergraduates. While in Rome we attended a papal general audience, and I was struck not only by the diversity of people who had gathered from around the world, but also by the number of Italians in enthusiastic attendance. I commented on this to our tour manager, who replied that January was the best time for Italians to see the pope—fewer tourists getting in the way! For Catholics living outside of Rome it may be difficult to remember that the pope is the pope because he is first the Bishop of Rome. The office of bishop means a variety of things, but inherent to its ministry is location, location, location. The bishop ministers within a Christian community—with a population as large as New York’s or a geography as widespread as Dubuque’s or a history as ancient as Rome’s—and serves the universal church by coming to love and know the particular church. 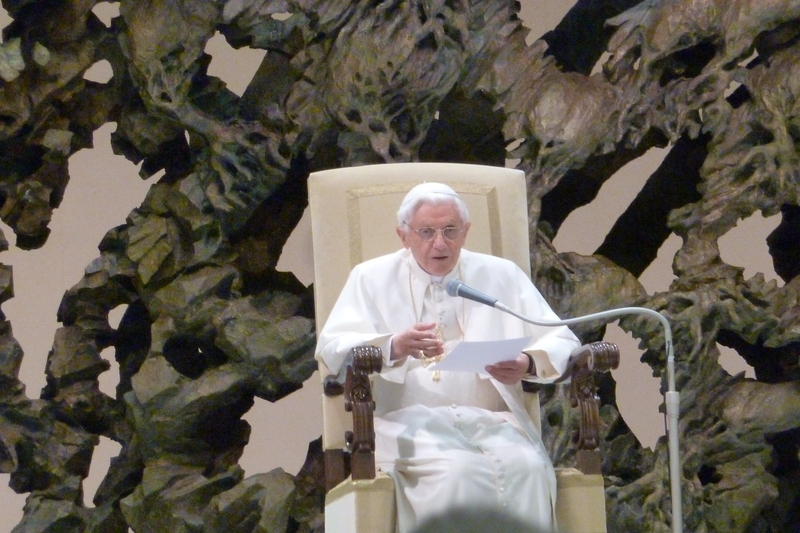 “ . . . . we decided to speak to the Pope about the problem of Rome: the city, life in the city, how people live in Rome, what it means to be a Christian, the problems of young people, the poor suburbs. John Paul gave a very good speech and confided in us: ‘Through you, I know my Church, my Roman Church’” (Sant’Egidio, Rome and the World 66). John Paul II’s statement is an important one. The bishop becomes part of the faith story of a particular community. John Paul’s “Roman Church” is not simply the same as the universal Roman Catholic Church, but is rather the local church—the diocese—that is the pastoral ground for a bishop’s ministry. Through the local community’s mediation the bishop learns about the church; through the bishop the needs, insights, and traditions of the local church are united with those of the universal church; within the local church the bishop first exercises his ministry of governing, teaching, and sanctifying. Conversely, episcopal ministry ought to create a relationship of pastoral care and advocacy for all living under the bishop’s care, and the betrayal of that ministerial relationship by some bishops made the sexual abuse of minors in local churches throughout the United States all the more horrific. The original abuse was compounded by a rupture in these bishops’ relationship with the people of their local churches, a breach manifested in their failure to protect the vulnerable. Of course, if Benedict XVI were “only” the Bishop of Rome the news media would have led with quite different top stories over this past week. On the other hand, the pope’s ministerial context in the church at Rome opens up questions about how we think about the local church in relation to pastoral leadership and Catholic identity. First, there has been much commentary about what type of pope is needed in the universal church. Ought we also to ask what type of bishop is needed by the local church of Rome? As Bishop of Rome, the pope is first entrusted with the spiritual welfare of the people in his local church. That pastoral engagement “at home” is foundational for the pope’s ability to act for union with local churches throughout the world. Union is not created between abstractions, but rather between the realities of local churches drawn together in the universal church; as Bishop of Rome, the pope must be an effective symbol of his local church’s union in order to act for union throughout the universal church. How does the local church shape the bishop’s personal capacity for ministry as well as his own Christian journey—and is the bishop willing to receive the lived faith of the local church as a catalyst for his own conversion? Finally, I suspect that for many the public face of the Catholic church is that of the “rock stars” of the Catholic world whose virtual presence is aided by social communications. Positively, as Steve Okey points out, new forms of communication can serve as a means of developing communion with others. Our tendency in the United States to be communication consumers can lead to some troubling ecclesiological trends, however, when modern media provides us with the ability to transcend the local option in favor of brand name Catholics who define the church’s product. These Catholics can inspire us to greater communion with God and each other, and the church’s catholicity is expressed in part when the Christian witness produced by one context is received throughout the church; yet our identification with Catholic celebrities can lead us to eschew the hard work of loving our neighbor in the next pew or in the chancery down the road. Can social media be employed to develop relationships of mutuality within the local church rather than as a means of escaping my local context? How can I pay attention to the universal church (as I surely should) without giving in to the temptation to ignore the call to communion with those Catholics who are closest to me—and with whom I am most vulnerable personally and spiritually? What relationships must I form and invest myself in if I am to embrace my local church as the primary context for my faith and as my entry point for communion with the universal church?